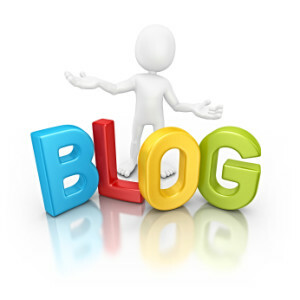 Blogs are a great way to attract people’s attention and bring them to your staffing firm’s website, but posting a blog does not guarantee readers. It takes work to promote your article, drive traffic to your blog, and ultimately make them want to return. Invest the time and energy now to create a thriving blog on your staffing firm’s website, but keep in mind that results are usually not immediate. Great blogs do not just happen overnight; great blogs require work. Before writing your article, think about your intended audience. Is it your goal to attract recent college graduates to your site or seasoned professionals with years of prior experience? Although it may seem obvious, many people fail to keep their target audience in mind when choosing their writing style and designing their website. Remember that your ultimate goal is to increase traffic to your staffing firm’s blog, so make sure to include content that readers want to share with their friends and colleagues. In order to create great articles and encourage readers to return to your blog in the future, your content must be insightful, well-written, and relevant. Keep in mind that there are blog articles posted every day and many of them are writing about the same topics. If you want your blog article to stand above the others, it must contain valuable advice and up-to-date information. Adopting a clear, organized style of writing is imperative so people are able to easily follow your points. Use images or videos along with concise, bulleted highlights to allow readers to quickly browse the article and pick out the important information. Catchy blog titles and witty headers help to entertain your readers but remember to include industry-specific keywords to draw the attention of new visitors and increase traffic to your staffing firm’s blog. Visitors to your site are looking for advice to help them in their job search so any suggestions or relevant links you provide are usually well-received by readers. Although the ultimate goal is to highlight your staffing firm’s services, make sure you are not overdoing it. Readers who feel you are only in it for the bottom line are not likely to seek out your future articles. Blog articles are a great way to encourage healthy discussion, so be sure to link to prior, relevant content on your site as well as to the content of other reputable industry influencers. Linking out to other sites lends credibility to your posts and often leads to mutual recognition from industry leaders and an increase in your SEO. Social media platforms are the obvious channels for increasing traffic to your staffing firm’s blog, but don’t discount other avenues. Use Facebook, Twitter, Google+ and LinkedIn to alert readers about new entries in your blog, but remember to reference your blog during meetings and social events if the information is relevant to the conversation. Approach every discussion from a business development point of view and build mutually-beneficial relationships that encourage guest posts, links, and re-tweets. Actively participate in social media sharing communities such as LinkedIn groups, StumbleUpon and Reddit to promote your content. Remember to engage authentically and add value to the discussion; Nobody wants to be viewed as a self-serving spammer. Tracking tools such as Google Analytics help to show where visits originate and allow you to determine which social media platforms and traffic sources are the most beneficial to your staffing firm. When planning future ad campaigns, make your decisions based on analytical results and identify those media channels responsible for the most traffic to your staffing firm’s blog and website. Focus your efforts on the high quality traffic sources and don’t be sidetracked by less effective marketing paths.